The corner cabin is ideal for smaller gardens where space is at a premium, or if you want to occupy an empty-looking space. 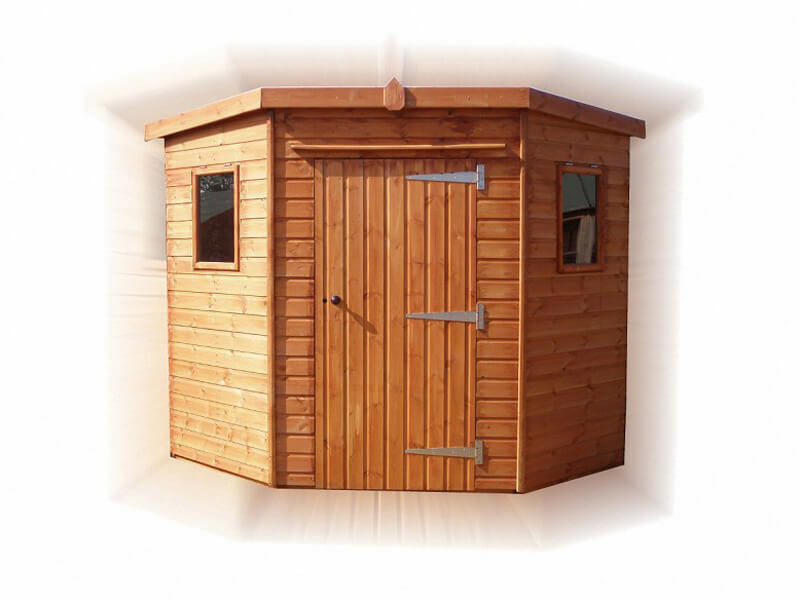 With a single door and windows, this model of shed is great for storage and DIY. As well as standard features, there are options such as premier cladding, enhanced framing options and double doors.